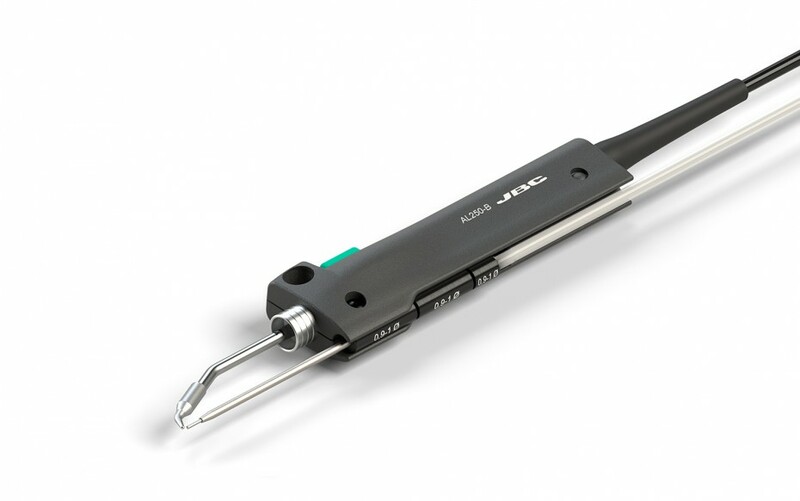 The AL250 is the most appropriate tool for extensive soldering applications that require one free hand. The AL250 supplies the tin wire automatically provided by the AL Auto-Feed station. This comfortable tool incorporates an anti-rotation screw to best align the cartridge. The AL250 works with C250 cartridges. Supplied with the C250403 cartridge and the 0002401 guide tube.